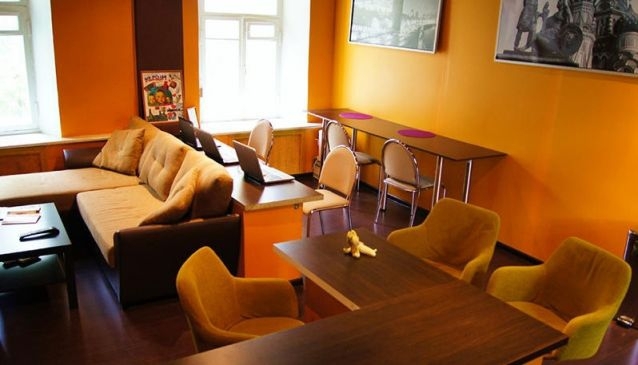 Bananas Hostel is a modern hostel, situated in the most historic district - Kitay Gorod, in a unique and ideal location for tourists full of different old churches and sights. The famous Porkrovka street, where you can find lots of different caffes, bars and clubs, is in 2 minutes walk from the hostel. Bananas offers bright and colorful rooms with special paintings on the walls. The large and spacious lounge room with a cozy sofa is good to relax while watching TV or surf the Internet using the hostel's laptops and free Wi-Fi or just chat with other guests. The modern kitchen is fully-equipped, so you can cook whatever you want there. Common showers and toilets are always clean.